1. The Snow Cone Lady – She’s been a Frisco staple for over 30 years. If you haven’t tried one of her snow cones, then you haven’t fully experienced summer in Frisco. You may wonder what could be so great about her snow cones that you’d be willing to stand in a long line outside in the Texas heat… The owner has spent years perfecting original concoctions like the Ninja Turtle (my personal favorite) and Wedding Cake, and adding personal touches like sour and cream to snow cones. A visit to the Snow Cone Lady’s familiar red hut is a beloved tradition in Frisco. 2. Cow Tipping Creamery – Cow Tipping Creamery, located at The Star in Frisco, is an ice cream shop that specializes in soft serve ice cream along with unique, scratch-made twists on traditional ice cream toppings, layered throughout their “stacker” sundaes. Stackers include fun flavor combinations such as Gimme S’More and Reese’s Witha’Spoon. With rotating weekly special flavors and endless toppings combinations, plus shakes and Hong Kong-style bubble waffle cones, there’s always a reason to eat more ice cream! 3. 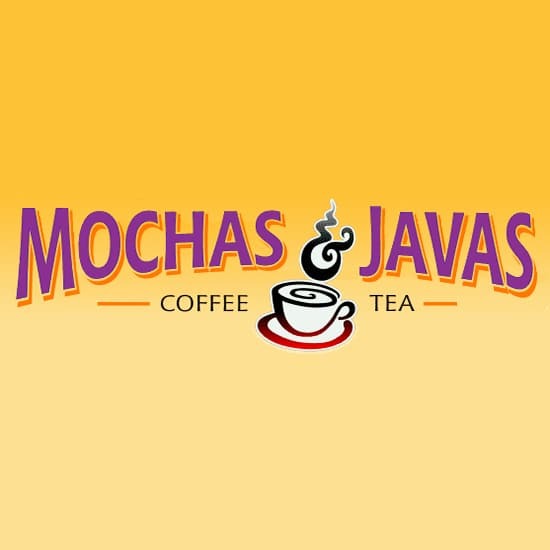 Mochas & Javas – A Texas startup, Mochas & Javas is known for their excellent coffee, kolaches, sandwiches, and baked goods. When you’re ready for a sweet treat, try the Mocha Java-Chino, a frozen-favorite made with Espresso and Sweet Chocolate, topped with Whipped Cream. Or the Oreo Java-Chino, a frozen espresso treat blended with sweet cookies and cream. And it will be hard to resist the Caramel Java-Chino made with espresso and caramel sauce! 4. Paciugo – Gelato is to ice cream what espresso is to coffee… smaller, stronger and very European. Paciugo is a Dallas-based company that specializes in making old-world style gelato with a modern splash. With specialties like Frizzante (gelato mixed with San Pellegrino or soda) and Affogato (my personal favorite – gelato topped with espresso shots), it’s hard not to love everything Paciugo has to offer. There are two locations in Frisco… one is inside Stonebriar and the other is right outside the mall next to 121. 5. Purple Kiwi – For those looking for a lighter option, Purple Kiwi offers delicious non-fat frozen yogurt, low-fat frozen yogurt, and sorbet. Located in a shopping center near Stonebriar Mall, it sometimes gets overlooked, but don’t be fooled – the creative flavors range from sweet to sorbet and the toppings range from healthy blueberries to dangerous brownie bites. One thing that makes this shop stand out is that you can grab a cup, self-select your toppings, and they weigh it to determine your price. It’s fun to build your own, and as delicious as it is convenient. Bahama Buck’s – For many Frisco residents, Bahama Buck’s shaved ice is a favorite Frisco tradition. Some popular flavors are Bahama Mama and Jungle Berry, but they have a lot of creative flavors ranging from Birthday Cake to Super Sour Slime. iCream Cafe – Walking into the iCream Café, you can’t help but feel like you’ve entered the future with twisting tubes and metallic mixers, but one taste and you’ll know it’s good old-fashioned ice cream. If anything, it tastes creamier and better than a classic ice cream cone.